Newly-crowned West of Ireland champion Jack Hume will be gunning for some payback when he heads an 11-strong Irish challenge for the 50th edition of the Lytham Trophy which starts at Royal Lytham and St Annes on Friday. 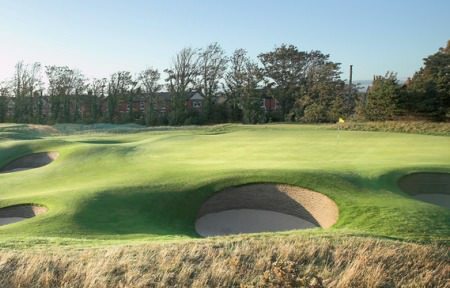 Only three Irish players have won the Lytham Trophy since it was first played in 1965 — Tom Craddock (1969), Martin Sludds (1982) and Paul Cutler (2010). But after losing out to Finland's Albert Eckhardt in a playoff for the title last year, the Naas ace must be regarded as one of the top contenders for the title. The 144-strong field with play one round on both Friday and and Saturday with the leading 40 and tied then play 36 holes on Sunday. Rory McNamara (Headfort), Tiarnan McLarnon (Massereene), Irish Close champion Cormac Sharvin (Ardglass), Geoff Lenehan (Portmarnock), Gary Hurley (West Waterford), Richard Bridges (Stackstown), Gary Collins (Rosslare), Eugene Smith (Ardee), Reeve Whitson (Mourne) and Dermot McElroy (Ballymena) complete the Irish line up. Whitson was fifth last year but Irish eyes could well look to McElroy, who was 24th, to finally add a major title to his stellar CV.